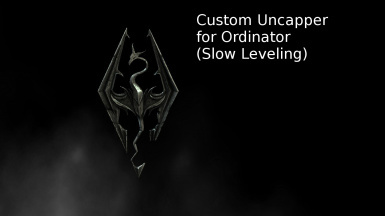 Based of Better Leveling by aselnor, Custom Uncapper for Ordinator contains a .ini file make Ordinator more rewarding at levelup. Required Elys Uncapper and is recommended but not required Ordinator - Perks Of Skyrim by Enai Siaion. You can use my files for any things you want the ini file and spreadsheet included, unless you decide to sold my file. In this I'll show no mercy. aselnor﻿ for his custom .ini file. Thank you ! similar at the Vanilla but in my opinion, more balanced and more interesting. This mod has two uncapper settings: Simple and Custom. add very few exp at levelup once reaching level 40, for now. faster than others. Alchemy for example, in my opinion, grow very slower than One-handed. 1. Download and Install Skyrim Script Extender (SKSE) if you have not install it yet. 2. Download and Install Skyrim -Community- Uncapper if you have not install it yet. 4. 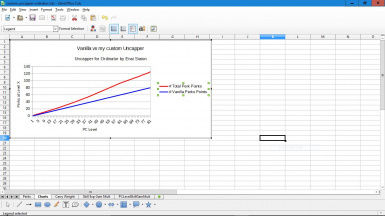 (Optional) Download the Optional file for useful information about the uncapper. Ordinator - Perks Of Skyrim, of course. 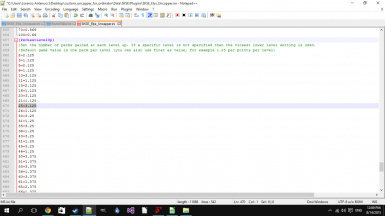 Notepad++ for editing the Uncapper .ini file. LibreOffice Still for creating spreadsheet included in the archive. 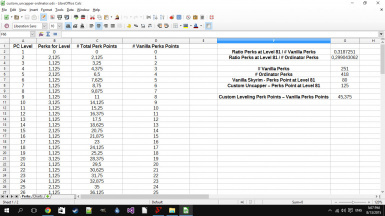 Better Leveling - Skyrim Vanilla the .ini used as starting point. GIMP for creating images from clipboard. aselnor for his custom .ini file. Thank you !